The 1st of July 2016 saw the 100th anniversary of the Battle of the Somme. It is worth remembering that the battle was not over in a day. In fact the last actions of the Somme battles ended on 18th of November 1916. The area either side of the river Somme was chosen in late December 1915 by the French and British as being a suitable location for an Anglo French combined attack on the German army in that area. However on 21st of February the German forces launched an offensive against the French forces around the forts at Verdun. This battle went on until 18th of December 1916 and saw horrendous losses on both sides. This meant that French forces assigned to the forthcoming Somme battle were taken away to fight in Verdun. By late May and early June the situation for the French was becoming critical. The British were urged to open the Somme attack in order to take some of the German pressure off of the French forces. 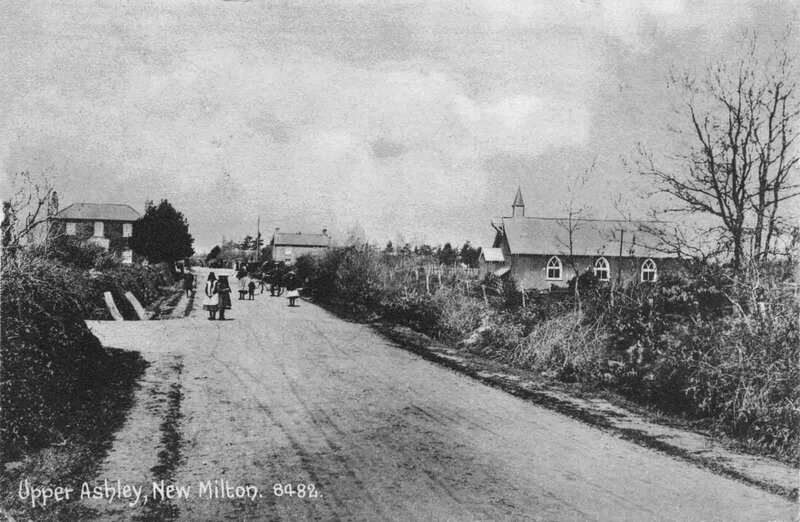 Men from Milton parish were heavily involved in the fighting and soon news came back to our town of the first casualties. Private David Kitcher and his parents lived at Tiptoe cross before moving to Lily Cottage, Upper Ashley. At the age of 14 David’s occupation was recorded as a being a wood sawyer. He enlisted in 1915, under age and ended up serving in the 1st Battalion the East Yorkshire Regiment. On 1st of July 1916 the battalion attacked the village of Fricourt. By 14.00 that day they had achieved their objectives and dug in. However an enemy bombardment and counter attack caused a number of casualties. All told the battalion suffered 460 casualties on that first day. David was one of them. His body has never been recovered. Albert Sque came from Bashley. He was a farmer with a smallholding in St Johns Road. He enlisted in December 1914 into the Hampshire Regiment. After service with the 2nd Battalion in Gallipoli he was transferred in 1916 to the 1st Battalion. 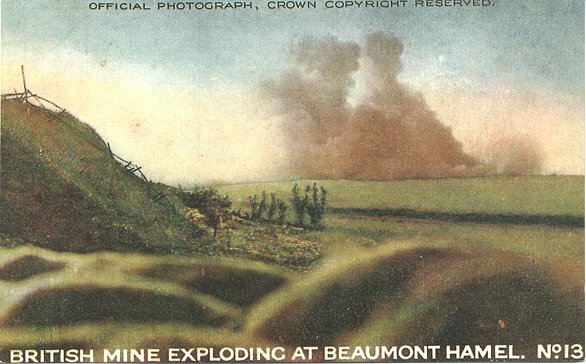 On 1st of July 1916 this battalion attacked the area to the north of Beaumont Hamel. The Germans had been alerted to an imminent attack on their position by the explosion of a British mine prior to the troops attacking. The Germans rushed up from their deep dugouts and manned their front line position. They laid down a deadly and accurate curtain of machine gun and rifle fire on the advancing British troops. 1st battalion the Hampshire regiment suffered 100% officer casualties and 586 casualties in the ranks. Of these 310 men were killed or missing. Albert Sque was one of those whose body was never recovered. As the battle progressed other Milton casualties included Captain Jack Oliver Cooper who was shot down and killed over the Somme on 21st of July 1916 whilst serving with the Royal Flying Corps. He lived at Ossemsley Manor with his family. On September 9th 1916 Private Wilfred Ivor Forward of 11th Battalion Hampshire Regiment was killed in action near Guillemont on the Somme. He was born and raised in Milton. His family lived at 7 Gore Terrace, Milton and he was married to Daisy Sque of Bashley. Wilfred’s body was not recovered. Private Bertie French 14th Battalion the Hampshire Regiment was killed in action near Beaucourt Sur Ancre on the Somme battlefield October 20th. He had been living at Barton Court Cottages, Barton on Sea with his wife Edith. Their son Reginald had been born in March 1914. November 3rd. Captain Aubron Thomas Herbert was shot down and killed whilst serving in the Royal Flying Corps. He was born and lived in the family home of Ashley Arnewood Manor, Ashley Road, New Milton. The last Somme casualty for Milton parish occurred on 13th November 1916. Private Herbert John Scott 7th Battalion Royal Fusiliers was killed in action near the Ancre River, France. He lived at Walkford Cottage, New Milton and had worked as a milk delivery man. On the 18th of November 1916 the battle of the Somme concluded. Each July spare a thought for the Miltonians who fought and died in that battle over 100 years ago and for those men who fought, survived and came back to Milton Parish, changed forever.